TRADING JAMES PAXTON TO THE YANKESS IS JUST THE LATEST INSULT TO MARINERS FANS » how's your morale? On the night it was published, my sister texted me a link to this article, by Mariners beat writer extraordinaire Ryan Divish: “Mariners trade left-hander James Paxton to the Yankees for three prospects.” The Mariners did what they had been telegraphing for weeks. They traded their best pitcher away. And not to just any team: they sent Paxton to the damn Yankees. Damn straight. We’d both already begun to feel that way at the end of this year’s highly disappointing season, which was rich with fan misery. A quick recap: the team’s most famous player (Robbie Cano) got suspended for PED use and its most beloved (Felix Hernandez) sucked. Worst of all, the team was revealed to have paid hush money to women who used to work for the team, after they were allegedly sexually harassed by team officials—including the current team president, Kevin Mather, and his immediate predecessor, Chuck Armstrong. In the weeks following that story, the Mariners blew a large lead in the standings, and ultimately missed the playoffs for the 1,000,000th year in a row. The offseason should have been the merciful end to the parade of Mariner-related bad news, but the Mariners organization determinedly kept shoveling away at the giant hole they’d dug. General Manager Jerry DiPoto implied, then more or less announced, a fire sale of the team’s best players, and promptly got down to business trading them away for prospects that may not actually be good. Then a high ranking former team official, Dr. Lorena Martin, was mysteriously terminated. Shortly after that, Martin publicly accused DiPoto and other senior team officials of workplace harassment. Martin says that DiPoto, manager Scott Servais, and others said racist and misogynistic stuff to her, sometimes in front of other team employees, and terminated team staff because of racial bias. After all this, trading away Paxton seems like a deeply personal insult. After all, Paxton’s continued excellence was one of the few reasons to watch the team down the stretch, or even think of the team in any sort of positive way. Maybe the trade will be vindicated, but I personally find the team’s justifications for the trade dubious, or at best misguided. I (and everyone else, including DiPoto) know this for certain: the team will be worse without Paxton. The recent trade of catcher Mike Zunino will also make the team worse. Zunino is a fine player, for all his trouble with breaking balls. 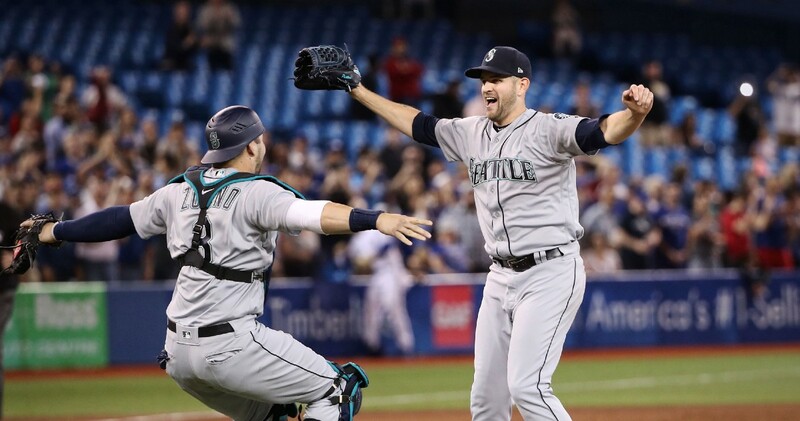 Zunino caught Paxton’s May no-hitter, which may as well have happened a century ago. That game was the highlight of the year. Now both the players who authored it are gone. Worse, both Zunino and Paxton seem like decent people. At least, that’s what their colleagues have said, and they always came across as nice enough guys in public appearances. They were a pleasure to root for, and rewarded fans with real, if inconsistent, excellence. The Mariners have fewer and fewer of that kind of person left, and it feels a whole lot like they’re going out of their way to get rid of them. DiPoto is right: the team does need to start over again, and be “reimagined.” But he and his cohort have so far proved themselves unable to build a successful baseball team. As these crises unfold, it seems more and more like the Mariners’ leaders are worthy of no fan’s trust, respect, or money.